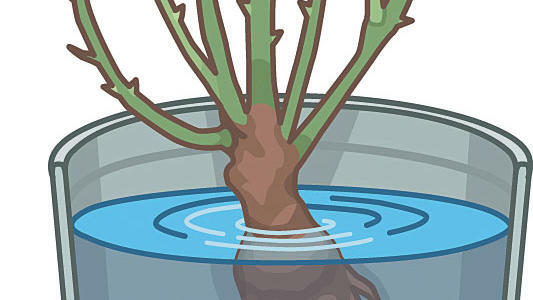 Soak roots in a bucket of water for up to 24 hours before planting to replenish moisture they may have lost during transportation and storage. 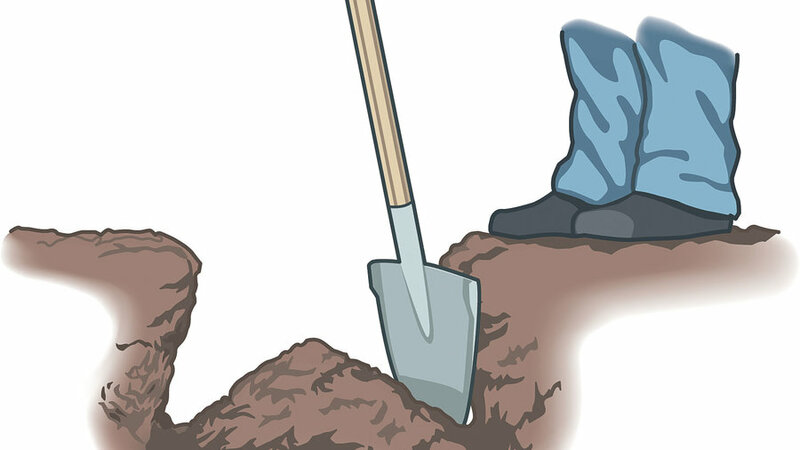 Dig a large, rough-sided planting hole with sides that slope outward from top to bottom. Form a cone of soil in the center of the hole to keep the rose from settling too low. 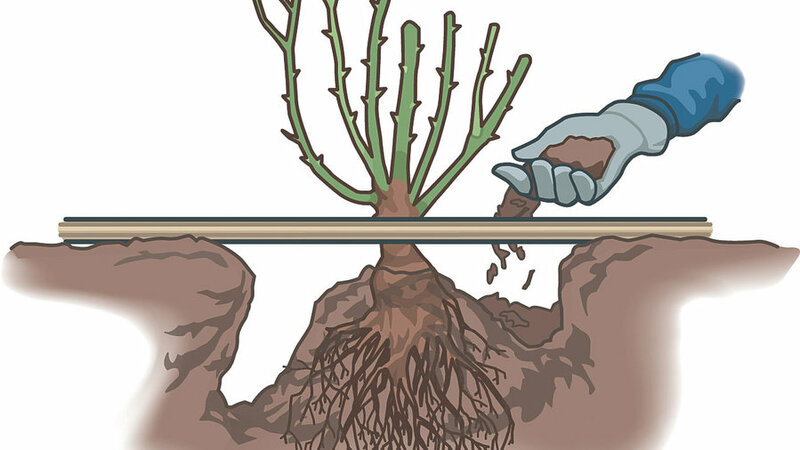 Dig the edges deeper to help roots penetrate into the soil. Trim any damaged roots or canes from the rose. Set the rose on the cone, with the graft knot, if there is one, just at or above the soil level. (To check, lay a stick across the planting hole.) Spread roots over the mound, fill in with soil, and water well.